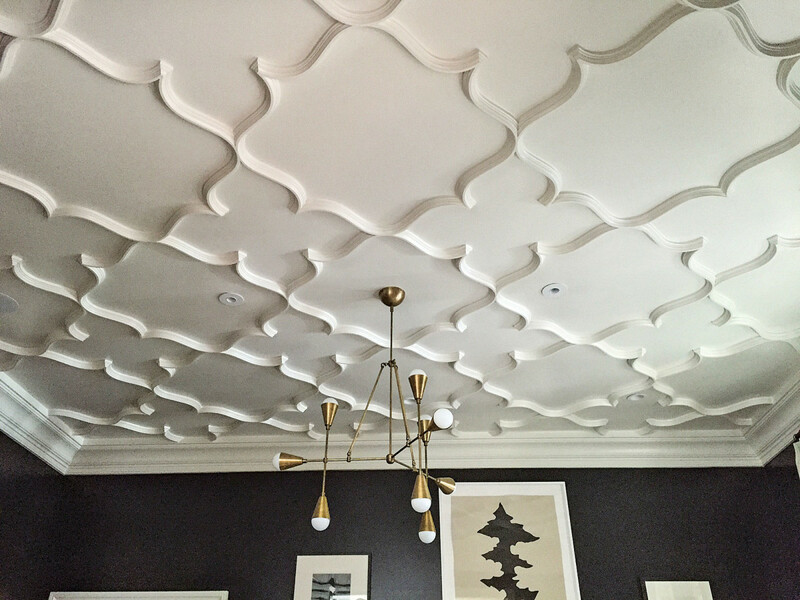 The design of this transitional ceiling from Decorators Supply shows that the style is not traditional, but it’s not modern either. 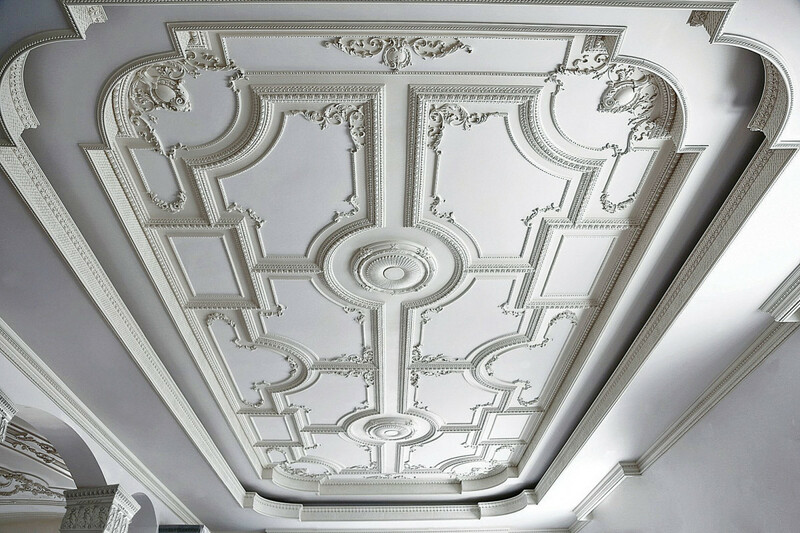 Changing styles in ornamental ceilings come as no surprise to companies in the decorative features industry for generations. 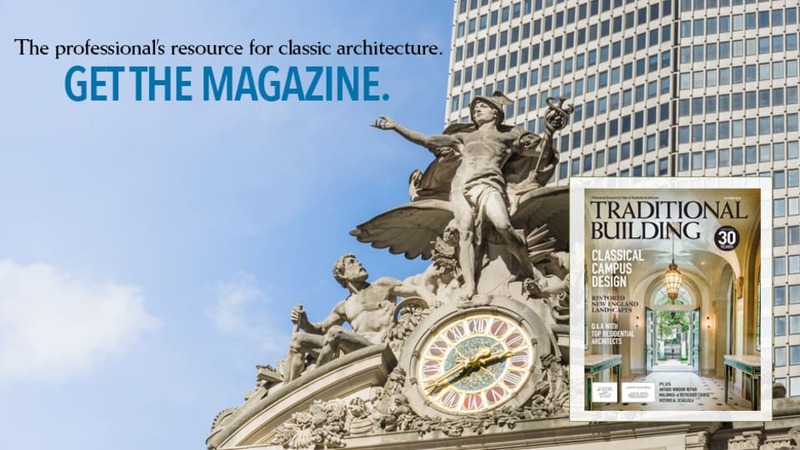 With their perspective, they know how the pendulum of preference swings back and forth between modest and magnificent, and they’re ready to serve their clients no matter which way the winds of fashion blow. Among his clients, the shift in ceilings became apparent within the last three years. 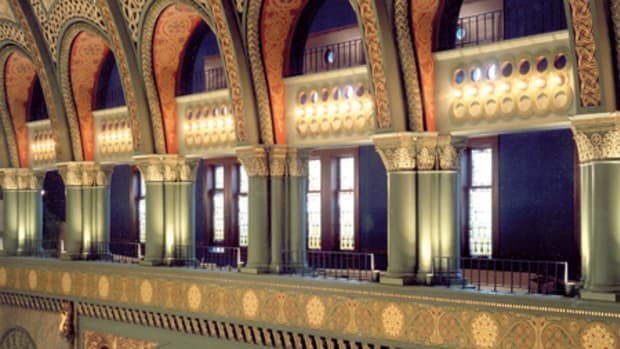 “They’re plainer, with an open tracery that’s mounted on an existing ceiling—similar to what used to be called Gothic tracery,” referring to the complex patterns inspired by window stonework. Driwood cites a trend toward simpler ceilings. 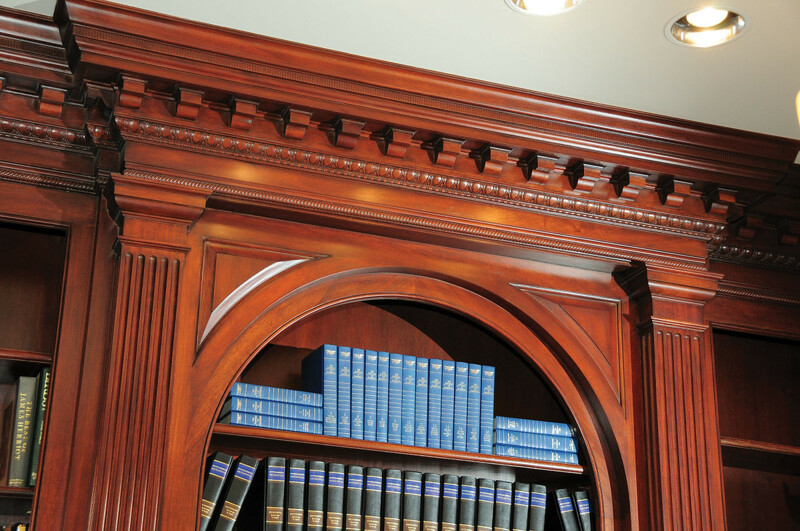 Driwood’s specialty is embossed millwork that replicates the hand-carved moldings found in historic buildings in Greco-Roman styles, such as egg-and-dart and acanthus leaves. 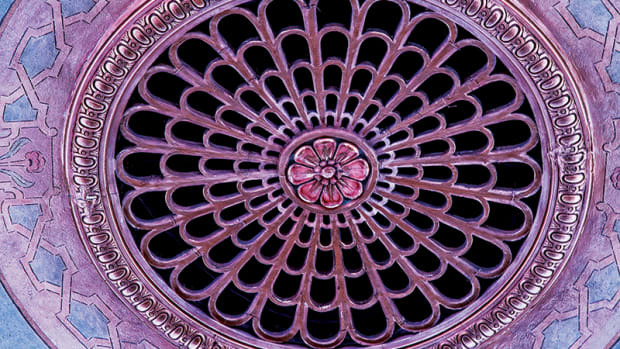 An ornamental ceiling by J.P. Weaver. 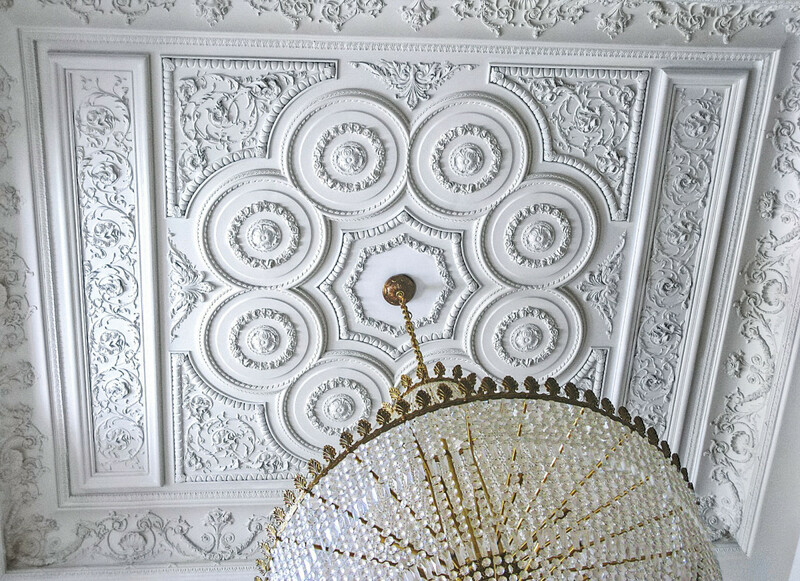 J.P. Weaver still sees an interest in ornamental ceilings, such as the ones shown here, and notes that many clients want them painted white, like wedding cakes. Croce points out another trend. 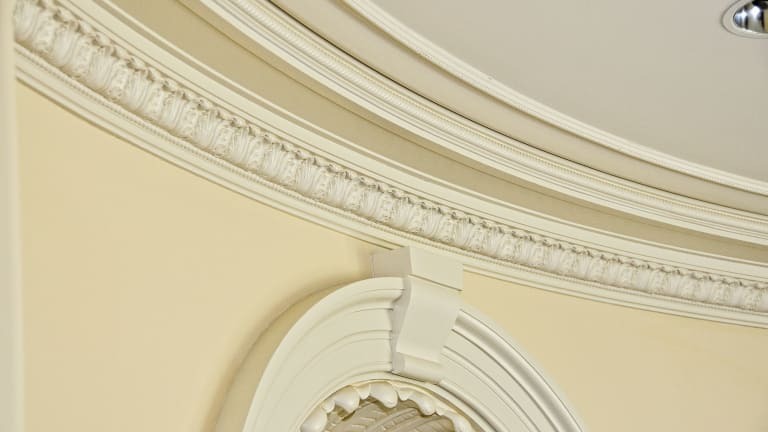 “We get a lot of clients who want a very ornate ceiling or room, but they want to paint it all white—like a wedding cake!” She notes this is a departure from the heavy gold that was so popular in many places 10 or so years ago, and a move more towards background. 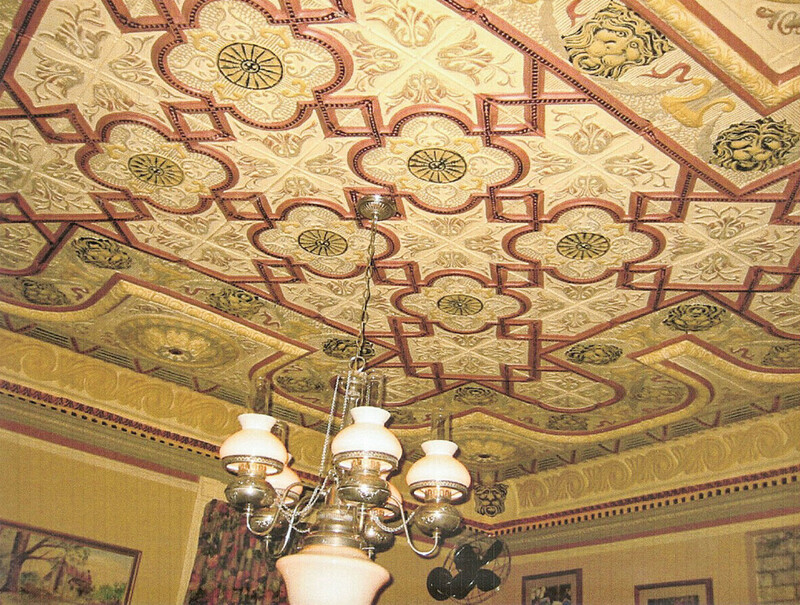 This hand-painted tin ceiling was fabricated by W.F. Norman. But that doesn’t mean all-white ceilings need to be flat or bland. 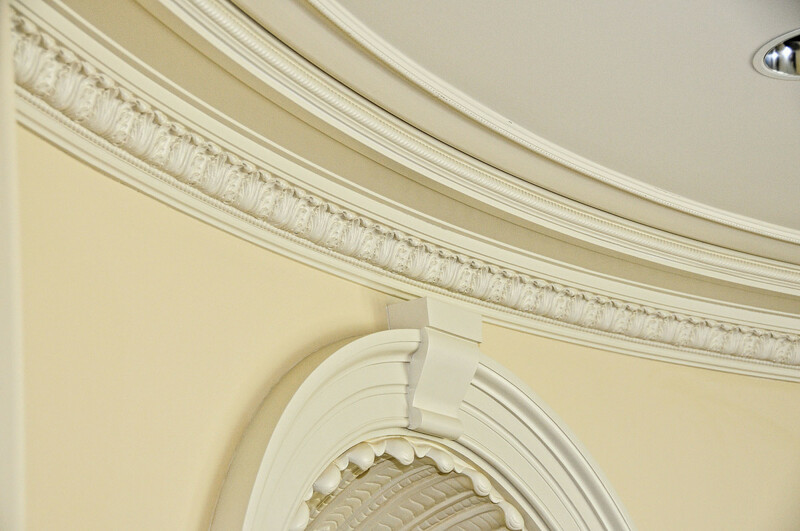 “The heavier the detail, and the more undercuts in the detail, the more the light picks up the shapes of the moldings. 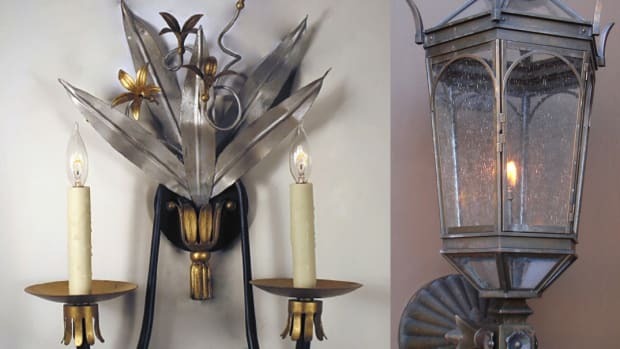 So one of the things we like to do, which is made possible by the plaster and resin products, is to give the ornamentation a lot of undercuts.” She explains that undercuts have long been a technique of wood carving, but because wood is dark, the effect is even more successful with cast plaster. 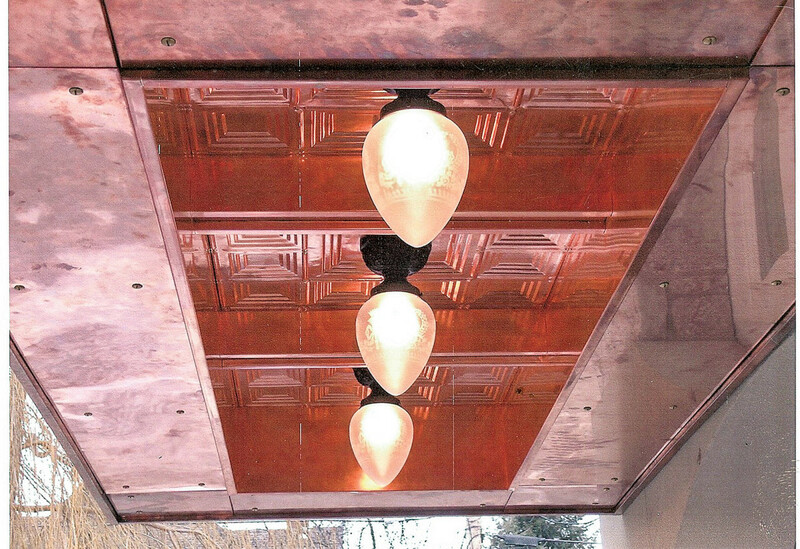 A copper ceiling from W.F. 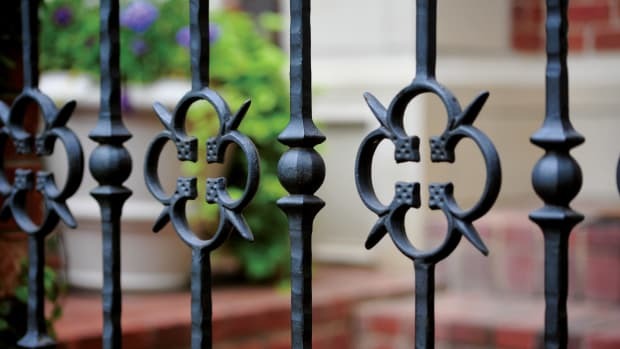 Norman shows that clients still want designs that have been around for 120 years.